The Henry B. “Widow” Clarke House is Chicago’s oldest surviving structure. 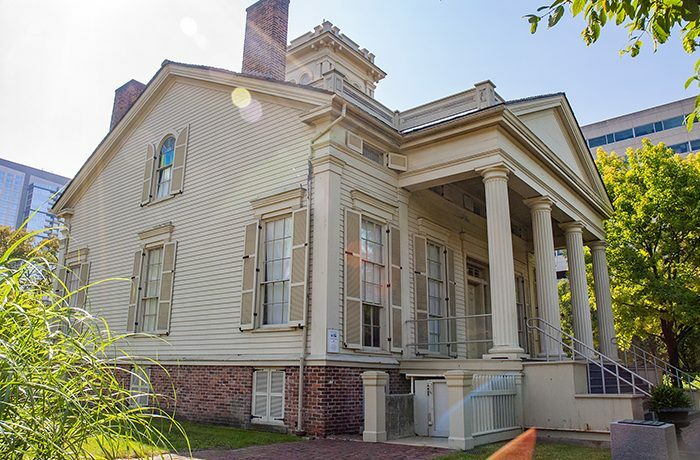 It is a Greek Revival structure built circa 1836. Around 1871, it was moved from its original location to a lot six miles to the south. In 1977 the City of Chicago purchased it and relocated the house to a site in the Prairie Avenue Historic District. Wilbert Hasbrouck was engaged to plan the relocation and prepare a restoration program, including construction documents. Research was completed to document its appearance circa 1855, and it was restored to that condition.